Entertain the kids (and adults) and show off your brand with personalized games from Promotion Pros. We offer a variety of outdoor game options including flying disks, jump rope, darts, and more, so you're guaranteed to find exactly what your customers and employees need to help keep everyone focused and having a good time! Custom games are great to use as a quick thank you to customers who visit your company with kids in tow and can also be given to staff members during company-wide events. 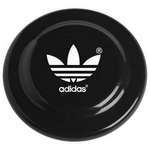 Our personalized 4'' coaster/flyer features dual use as either an exciting outdoors toy or a drink coaster and a single logo imprint. Our personalized 7'' coaster/flyer features dual use as either an exciting outdoors toy or a drink coaster and a single logo imprint. 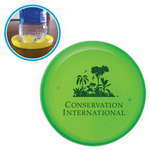 Our personalized 9'' coaster/flyer features dual use as either an exciting outdoors toy or a drink coaster and a single logo imprint. 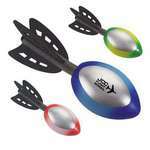 Use the Dart Rocket to launch your brand after adding your company’s logo on it. It is available in blue, lime green, and red colors. 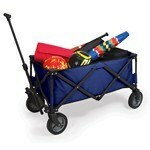 The Custom Adventure Wagon features steel frame construction with polyester covering and allows adding logo and message to Promote your Brand. 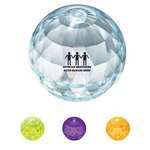 Lift your company’s brand to great heights by gifting the Hi Bounce Diamond Ball and watch your brand reach high in brand visibility. The diamond cuts on the ball give it a sparkling look, catching the attention of kids and keeping them engaged. 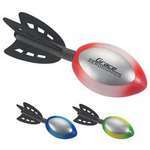 Use the Large Dart Rocket to make a huge, yet fun impact of your brand. It is available in blue, lime green, and red colors. 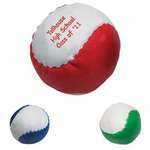 The Leatherette Ball is a fun way to promote your brand image outdoors. 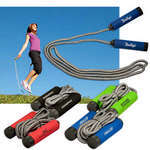 It is available in two-tone colors: red, green, or blue, all with white. 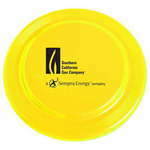 The large discus is a fun toy that is made using post-industrial recycled polypropylene. 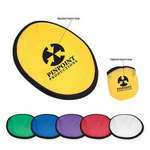 It is available in colorful colors including: white, lime green, blue, yellow, black, or red. 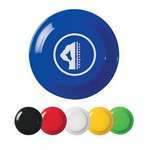 The small discus is a fun toy that is made using post-industrial recycled polypropylene. 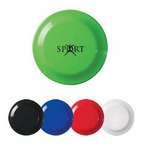 It is available in colorful colors including: white, lime green, blue, black, or red.